Top floor veranda chill out area. Our breezy open air penthouse room has lovely views of the ocean and the village. The room is ensuite and perfect for both budget conscious travelers and couples looking for a romantic getaway. 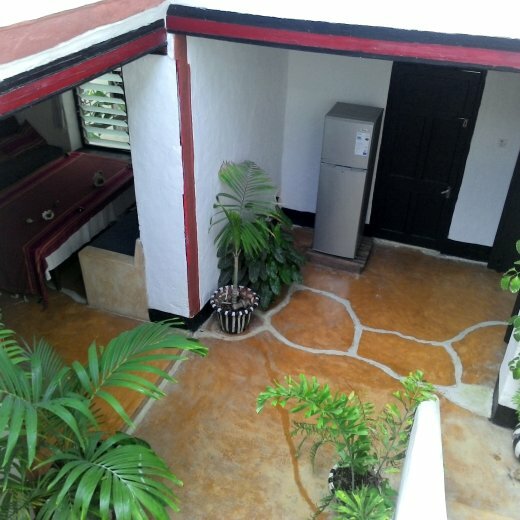 Shella Pwani Guest House is located just behind Peponi hotel. 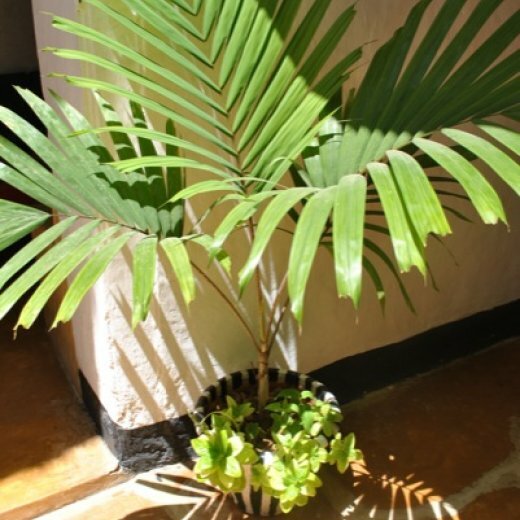 It is a lovely Swahili guest house with carved plasterwork, an amazing location and excellent staff. The Guest House is located only 50 meters from the seafront and a few meters behind Peponi Hotel in Shela Village. There are two second floor double rooms, 1 second floor balcony room, 1 penthouse room and 1 family penthouse suite making a total of 5 rooms. There is a kitchen on the ground floor which can be used to cook meals. 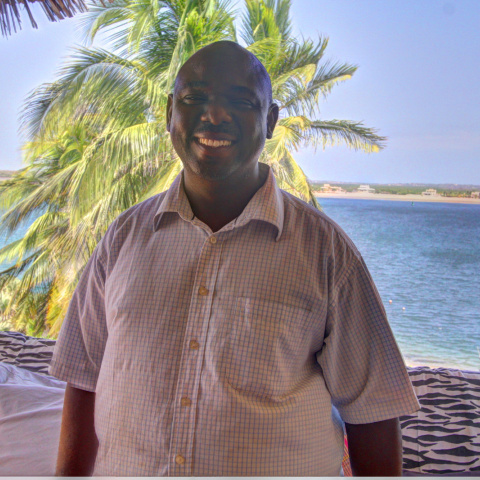 Mwinyi the house manager and chef who has been working at Pwani for 20+ years is an attentive and friendly host. Breakfast is prepared for you every morning and you can organize with the chef for lunches and dinner meals which are prepared for you free of charge (just pay for the ingredients). There is a small dining room downstairs, where it is possible to organize meals that include amazing fresh seafood and swahili dishes. The rooftop terrace has excellent views and a perfect sea breeze. Airport transfers are not included but can be arranged for you at an extra cost payable on arrival to your the guest house manager or your boat captain (cost is usually between KES 1,000 - 1,500 depending on the season). We had a good stay at the guest house with literally no problems. Our stay was amazing. We absolutely loved it. The best!! 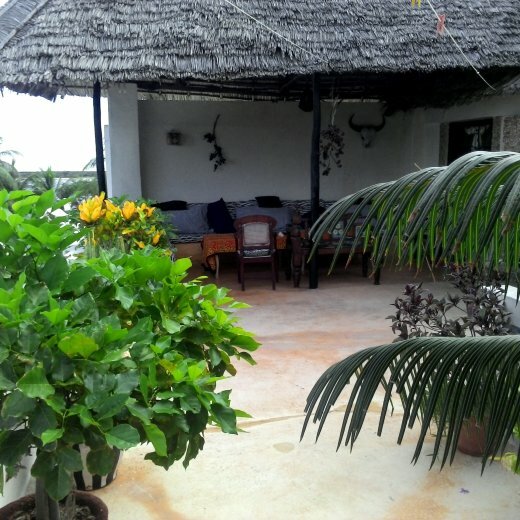 A traditional Swahili guest house, comfortable but not luxury, friendly and welcoming and great value. The stay was good, service was also quite good. It was great and we had a good time. Mwinyi, the host, was really nice and the food was lovely. Would definitely recommend it. I stayed at Pwani Guest House with a friend and we had a great time. Mwinyi is a very friendly and caring host who prepared very nice fish for us. The room is just perfectly located behind Peponi Hotel and has a fantastic view on the ocean. 100% recommendation! Awesome place. It met all my expectations. I got value for my money and the services I received were up to par. It was amazing. We loved it. Mwinyi and his team were great. Amazing location and structure, incredible potential...terrible management...lazy guy. It was totally fine thank you. The manager was very friendly and very accommodating. I had a really lovely stay. It was great. It was very convenient. They were prepared for our arrival. It was very reasonable. Response from Mwinyi — Thanks for visiting Mwinyi and the team. Glad you had a great time. We hope you come back to Lamu soon! It was wonderful. Everyone had a great time. Response from Mwinyi — Thanks Michelle. So glad you had a wonderful time. Mwinyi, Hassan and Samuel are the perfect hosts. I had a wonderful time in Lamu at Pwani guest house! Mwinyi was an excellent host who took great care of me, arranging a very lovely and informative guide named Abdul to tour Lamu town including the UNESCO area as well as the Fort, museum, markets and several craftsman. I also found the dhow sunset cruise with Captain Sultan very beautiful and tranquil, and the beach at Shela was gorgeous. Mwinyi provided some delicious meals as well, and even called ahead to porters to meet me at the pier at the airport as I left. It was a relaxing and lovely 3 days and I will highly recommend Lamu and specifically Pwani to my colleagues in Nairobi and Minnesota and to friends in the area! Thank you for your help in making the arrangements! We enjoyed this quaint guest house about as close to the beach as you can get. The rooms are all self-contained and spacious, and the manager and other workers are friendly. The manager is also a chef, and he cooks the best, fresh seafood we have found on the island. We recommend this guest house to anyone who enjoys the "finer things" without paying high prices.